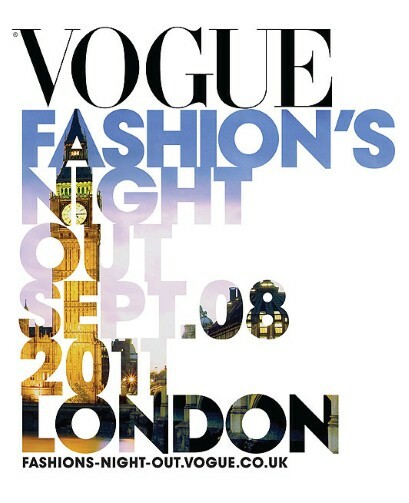 Tonight is London’s Fashion Night Out in association with Vogue. This is by far the most exciting night of the year! Unlike fashion week where it’s ‘invite only’, FNO is open to everyone! #Hurray! There’s a real mix of people and we are all united for one reason…Fashion. I’m going to be exploring the offerings of Bond Street, Oxford Street and many more with a group of Bloggers tonight and I will be Tweeting and ‘Instagramming’ within an inch of my life…all night long! Be sure to follow me on Twitter: @Ems_EJSTYLE for all the action! Now as I have a good few hours before this momentous night kicks off there is some much needed preparation to take place. Camera charging, iPhone charging, nail painted, make-up selected and tested (very important to avoid a tranvestite-esque look when trying out something new), hair primed, umbrella packed, handbag at the ready, blogger cards handy and then there’s the selection of THE OUTFIT! Oh my this is a strenuous task but one that must be accomplished at least an hour before departure. Wanna see my choices??? Here you go…. What will I wear? Stay Tuned! If you’re off to Vogue’s FNO in London tonight be sure to download the offical App, it’s brilliant and will certainly come in handy when deciding on where to go next!